Kalina Axentieva leads Newcastle Eagles through overtime in north east derby. Newcastle Eagles emerged 72-68 victors over Durham Palatinates in an overtime north east derby thriller. The win keeps Eagles in contention for the WBBL Trophy Semi-Finals whilst Durham host Caledonia tomorrow. Turning point – With six minutes remaining of the fourth period, Durham were trailing by double-digits until a 12-0 run saw them bring it back level, and with seconds remaining on the clock Hannah Ottewill-Soulsby converted a pair of free throws to take the game into overtime. 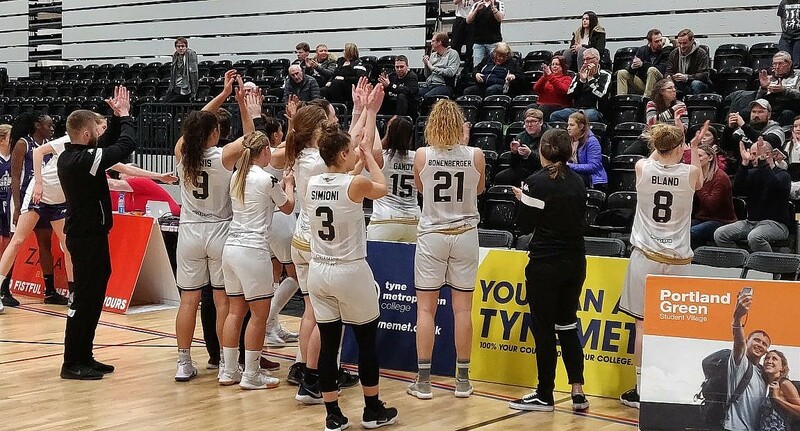 The teams traded leads through overtime but it was a Kalina Axentieva three pointer, followed by a Durham turnover, which sealed the deal for Newcastle. Key stat – Newcastle’s bench came out all cylinders firing, with 26 points coming from their bench, led by Steph Gandy’s 18. Game hero(es) – Kalina Axentieva racked up 19 points and she was assisted by a key double-double performance from Kara Bonenberger, with 14 points and 13 rebounds.